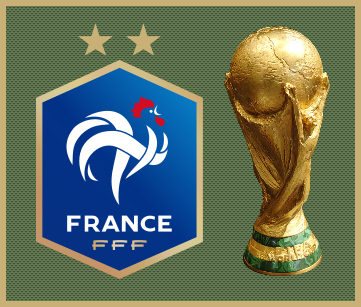 This thread starts at the run-up stages to the 2014 Football World Cup with, as seems to be customary, controversy surrounding the event. Will the stadiums be ready in Brazil? Will the Brazilian zest for fun win out over public concern over the cost over-runs and the resulting unrest? Meanwhile, accusations continue regarding the allocation of the 2018 event to Qatar. The UK Sunday Times (1st June) claims to have several secret documents (millions - yes you read that correctly, millions), which are alleged to show that payments totalling US$5m were made in support of Qatar's bid, suggesting bribery on a massive scale. Calls are being made to rerun the competition to host the event. But is FIFA capable of making a credible decision? Maybe they could decide that the Antarctic would be a good venue! Oh yes, there is that other little matter - who is going to win the World Cup? Well I don't know about me winning, but I think Football/ Soccer is better off now that at last the prosecution of wrong-doings in FIFA are systematically being exposed. The set up, suggested by some, seems to have been the awarding of large amounts of development funds to countries with little footballing infrastructure via the football representatives of those countries who then siphoned off their own bung. This seems to have been done by some members of the executive committee with apparent aquiescence by Blatter who could then rely on those same representatives for his own re-election. I've written a number of times that I've not seen accusations of direct involvement in criminality levelled at Blatter himself but it's rather obvious that he should have known about such things and the charges now against him are, I think, to do with miss-governance. It is claimed, by the way, that his FIFA salary amounts to 7m$/year, or maybe It was 7m€ or 7m£ --- whatever! One hopes that the next President of FIFA will be untainted and can do the job properly. If not I think many will get on his case. It is claimed, by the way, that his FIFA salary amounts to 7m$/year, or maybe It was 7m€ or 7m£ --- whatever! He probably takes his salaries in $, €, £, or CHF. Whichever looks best at the moment. Wang's Dalian Wanda Group, China's biggest commercial property developer and an active buyer of global entertainment and sports companies, became the first Chinese top level sponsor of FIFA last week. At a news conference in Beijing on Monday, the 61-year-old multi-billionaire said he expected other companies to follow suit to help drive China's ambition to become a soccer superpower. "Two or three years ago, Chinese and Asian companies probably wouldn't even have had a chance to sponsor FIFA even if we wanted to. But because some western companies dropped out, we got the opportunity," he said. "To my knowledge, another Chinese company will become a FIFA top sponsor soon. If there are no surprises, there will be three Chinese top-level sponsors by the end of the year. "If more Chinese brother companies become FIFA sponsors like Wanda, we will join forces to advance the interests of China soccer," he added. Led by China's President Xi Jinping, an avid soccer fan, China has embraced the goal of shedding decades of corruption and underperformance to become a major power in the game, aiming first to host the World Cup and then ultimately win it. Belgians look mighty pissed that Japan is honestly beating them, totally different from Russia's lucky win over Spain. Edit: Dang Belgium caught up and eventually won narrowly. Anyway, it was an interesting game to watch in full. My interest went with Iceland, but the Sweden/Mexico-South Korea/Germany combo was fascinating. I imagine that's and, not or. The ratio will differ based on specifics of course. Page created in 0.035 seconds with 40 queries.